Hey again! It’s Jacqueline. Since Sarah is currently living her best life in California, I am lucky enough to share a post with you guys two days in a row. So fun! Now I will be the first to say that Pinterest is amazing and I don’t know how I would keep my life and ideas organized if I didn’t have it. However, does anyone else miss the days of pulling inspiration from magazines and creating mood boards on ‘real life’ inspiration boards? I have been dying to make my own inspiration board for my office for quite some time now. What better what to collect ideas for upcoming projects or things your currently loving than to have a visual you can look at any time during the day? 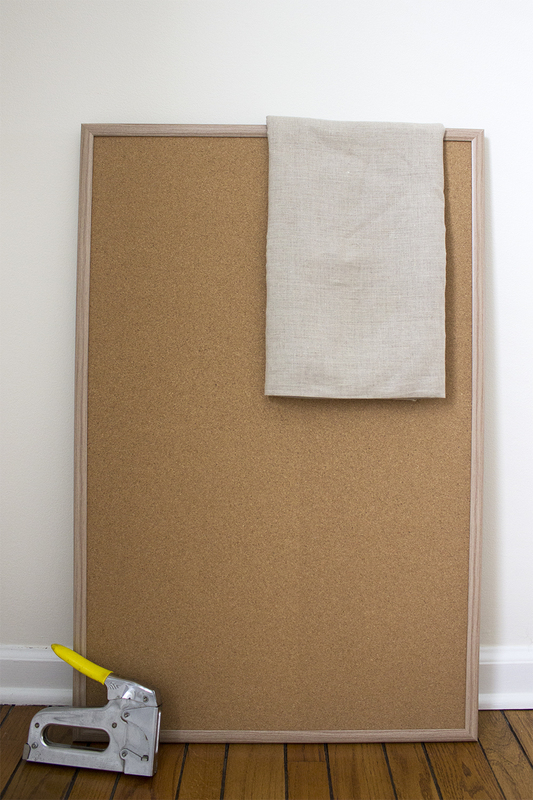 I am personally drawn to the look of a fabric covered inspiration board, so I have decided to share a quick, easy DIY for a cork board covered in beautiful linen fabric. First up – materials! I promised quick and easy, and it does’t get much easier than this. 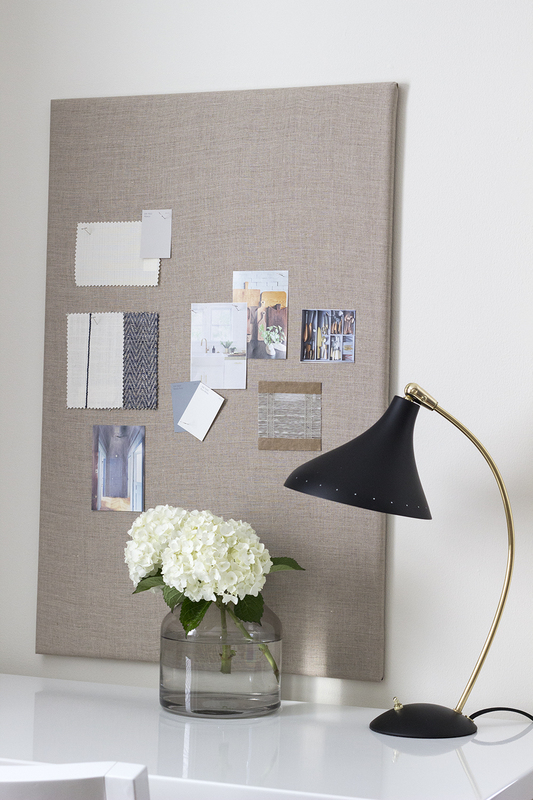 Run to your closest arts & crafts store to find a cork board or use an old one you have at home. I chose to use a cord board that had a backing and frame added to it so it would be sturdier. You can also purchase a roll of cork, but I knew the fabric wouldn’t hold to that as well. Next, make a trip to your fabric store and look for linen or linen-look fabric in the color/shade you prefer. I chose a sand color so it would stand out against our creamy walls, but also wanted a soft, neutral palette for images and items to pop on. 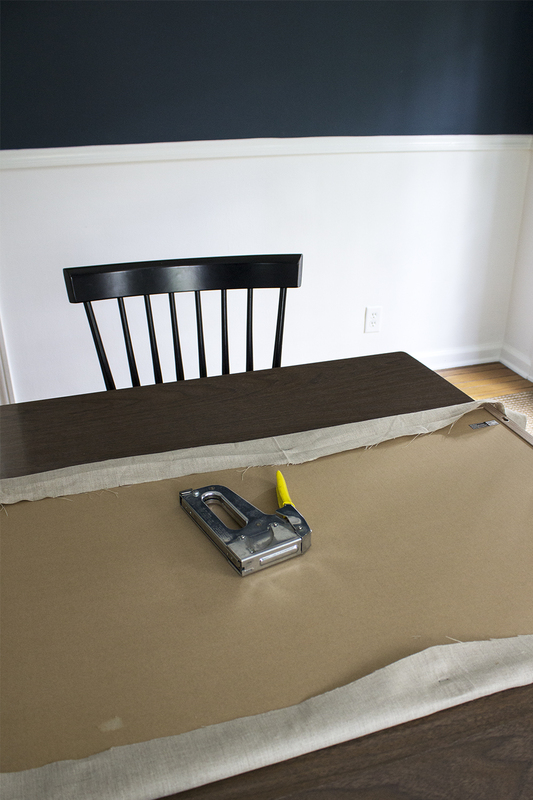 Last but not least, you will need a staple gun and some staples (I used 1/4″ 6mm staples). 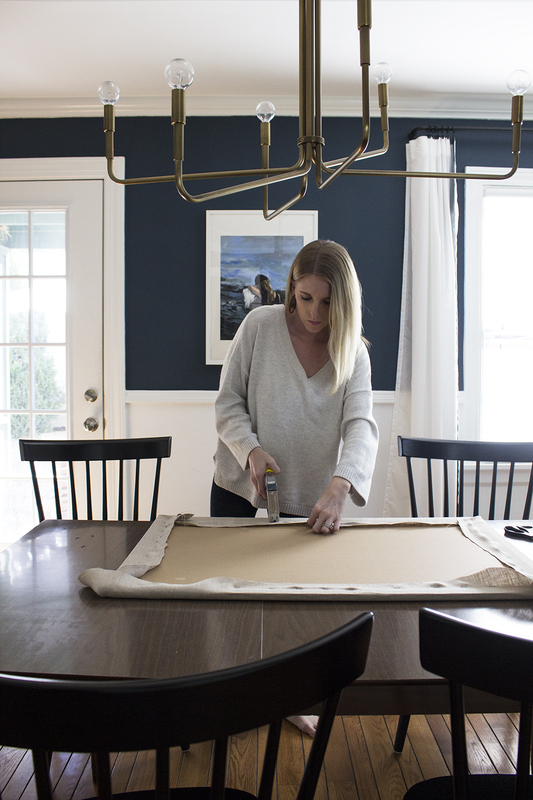 Lay out the fabric on a table or flat surface and place the board in the center. I trimmed the fabric down, leaving about 4 inches on either side of the board for pulling and stapling. 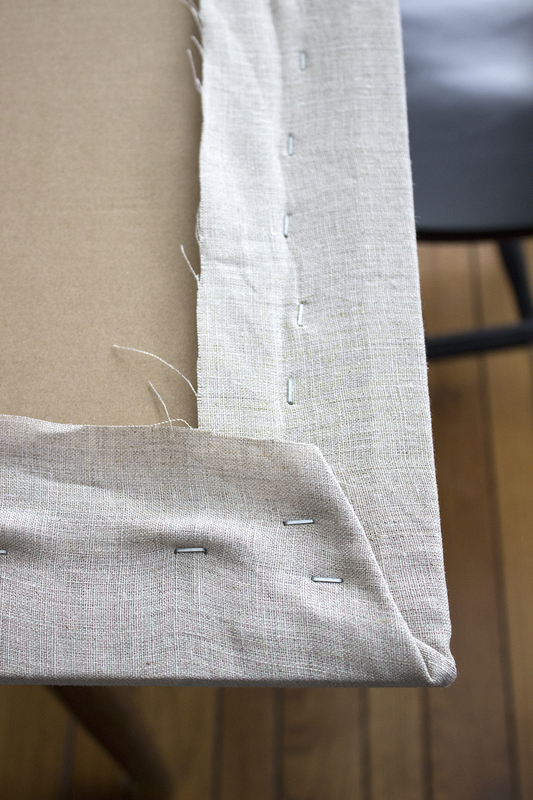 Begin in the middle on one side, pulling the fabric tightly as you staple. Continue on the opposite side with one staple in the middle. Next, repeat the process with the two opposite sides. At this point you should have one staple in the middle on each of the four sides. Then I repeated the steps, spacing the staples about one inch away from one another until everything was stapled (minus the corners). Fold the corners over so the fabric doesn’t stick out and you have nice, clean corners (as shown). Now you are ready to ‘style’ your mood board with inspiration such as images, paint and fabric swatches, magazines pages, drawings, etc. 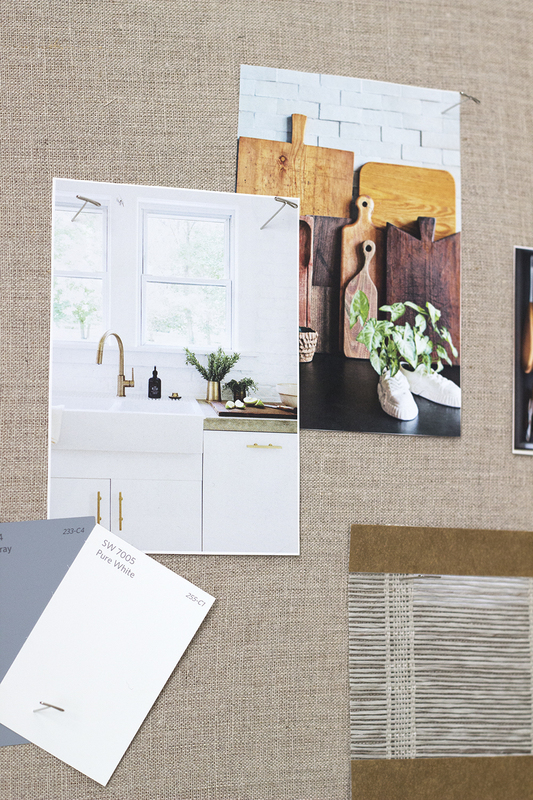 Right now my inspiration board is mainly ideas for our kitchen (reveal coming soon), but I plan to add some more projects to the board soon! Really, anything that is inspiring me will be added (including fashion)! I love coming up with new styles and get so much inspiration from outfits I see in magazines and online. I plan to pin some items I’m currently loving to the ‘real life’ board as well! You can create a cohesive look on the board using a specific color palette, or just put items up there you love for a more collected look. 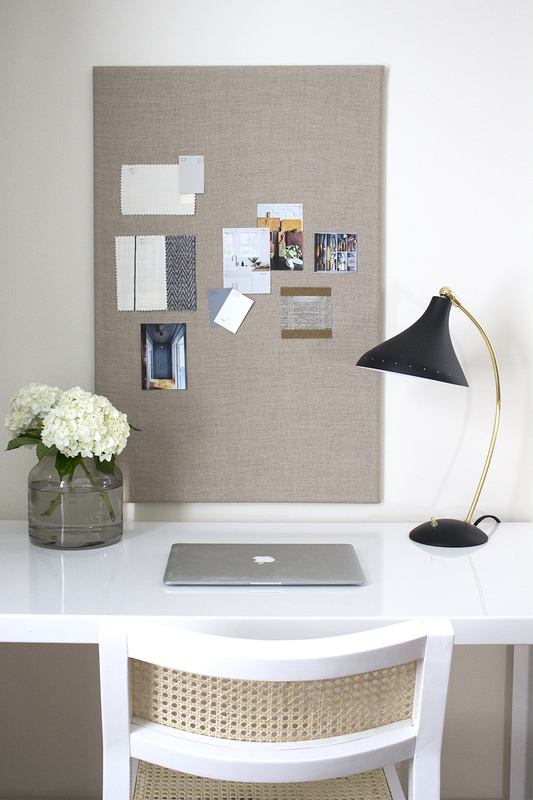 Then, find some cute pins to literally “pin” your photos and swatches to the board! Please tell me I’m not the only one who wants to bring back the real life inspiration board. I know Sarah will be adding one to her new office (reveal coming next week) so stay tuned to see hers! Have a wonderful weekend, friends! Nice. Yours looks so lovely and curated. I’m such a gypsy magpie, I fear mine would look wacky. Pinterest is an amazing resource, but I definitely enjoy the tactile experience of sorting paint chips and pictures and fabric swatches. I love the idea of a living collage. Happy weekend! What a lovely idea! 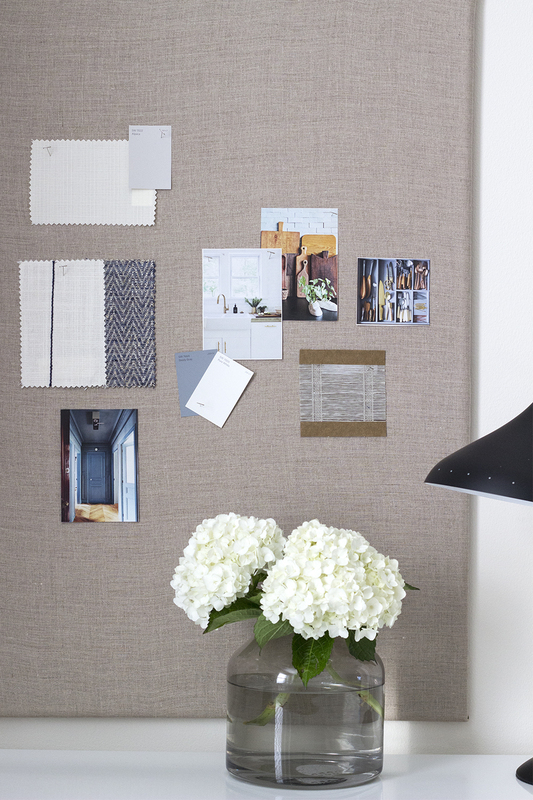 You’re definitely not the only one who wants to bring back the real life inspiration board. 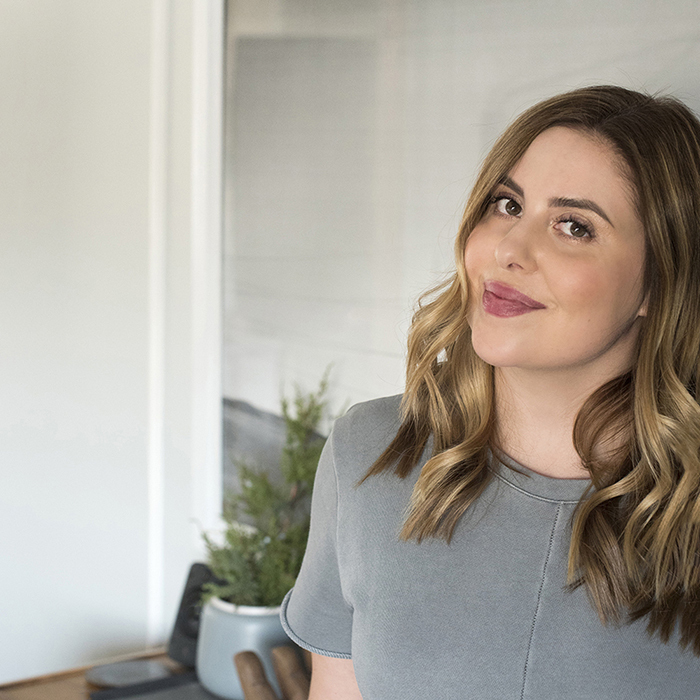 I was thinking a lot about it these days and your blog post was a sign I needed to stop thinking and start doing. :) Thank you for explaining everything step-by-step, you’ve made it look so easy. This is also a great idea for a vision board and setting goals.